Almeria, stray cats and the petition to “stop the slaughter”…. not quite what it seems? You’ll have read in the English language press (assuming you buy the Costa Almeria, and you live on the coast near a bar where they drop off the Euroweekly) that PAWS has joined a petition to “stop the slaughter” of cats in Almeria city. There is also a blurry picture, supposedly of “kittens” separated from their mothers, but which to me look more like a family of cats in a normal sized cage peering with interest at the cameraphone. I should point out that PAWS is only supporting this petition to “stop the slaughter”, they make it clear that an organisation called Activismo Por Los Animales (and also Animalia Terrae in Aguilas) are the ones claiming this slaughter is being carried out. Almeria townhall has denied the allegations, and said they are completely false, by the way. It says it only works with the municipal pounds and independent animal charities, and obeys the published guidelines and laws for feral animals. The fact that all these are understaffed, underfunded and overstressed organisations which need better legal protection and better animal control laws is a subject for another day. I’m simply talking about the animal petition (which you can read in its entirety here). The townhall says it is not undertaking any extraordinary campaign to remove stray cats from the streets. It also doesn’t make much sense : why go to all the trouble of catching these cats then separating the kittens? You either send the whole lot off to the municipal pound for rehoming / gassing or you don’t. The pound / townhall has a legal responsibility for the welfare of the animals in its care, so… Anyway, the whole thing is very vague. As I always say… when faced with a mystery, look for the money. In early November Almeria townhall published its grants programme for animal charities in 2014 (a rather miserable 3000€ by the way) at the beginning of the month (read the document here). About the same time as this fuss started….. So, who is “Activismo por los Animales”? No idea, couldn’t find out too much about them (not that I spent too much time trying, pushed for time here) but they seem to be an animal charity orientated towards feral animals in or around Almeria city….. Get the connection? I should also say that the English language bit of the scandal has nothing to do with the Spanish side and there seems to have been a bit of a mistranslation! You see, reading the petition here, it says nothing about animals families being separated or anything like that. Instead, it says there is a campaign of feral cats being caught in the capital city and taking to the municipal pound, where they are either rehomed within 10 days or slaughtered (as the law permits, by the way). The petition is calling for the mass capture to stop, and for funds to be made available for a mass sterilisation programme (capture – sterilisation – return to the street) to be undertaken amongst the city’s feral cat population. Which isn’t what the English have been told it is. Anyway, having read the petition, I went ahead and signed it. Always good to remind the townhall that the citizens want some of our cash spent on proper animal control in which the welfare of the animal is guaranteed. 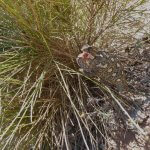 This entry was posted in Blog and tagged almeria, animal, animal welfare, cat, municipal, pound, townhall by David. Bookmark the permalink. Here’s how these delusional, self-serving, and uneducated TNR-advocates are destroying all life on the planet. Not only are these demented invasive-species house-cat “animal lovers” now killing off all Big Cats in all wildlife reserves around the world. And they’ve already made their ONE AND ONLY native cat species EXTINCT in the UK (the inventors of that TNR insanity). As well as killing off all their inland River Otters in England with their cats’ parasites. As well as cats’ parasites killing off all rare and endangered marine mammals on all coastlines around the world (worse than any oil-spill that has ever existed or could even be imagined). But now these cat-licking “animal lovers” are also killing off all the Mountain Lions (Cougars, Puma, Endangered Florida Panther, etc. ), and all other native cat species in North America. Let’s thank these psychotic cat-lickers for all the fine work they do for being such fantastic “animal lovers”, shall we? THEY JUST LOVE CATS SO MUCH! So caring! So thoughtful! So FULL of love for living things! Why hasn’t The National-Guard and United Nations and all police-forces on earth stepped-in with lethal means to stop them yet? As we all know now, educating them won’t stop them — trying to educate the Toxoplasma gondii brain-hijacked ineducable is a fools’ game. They’ve all proved that, beyond any doubt left in the universe, for decades now. I get the feeling that you may be rather anti-cat Woodsman! I got a bit lost there, but I agree with Woodsman. Tossing sterilised cats out into the streets – for whatever purpose – is potty and destructive to the local fauna. It’s sole purpose is to make foreigners feel elevated, without actually doing anything useful towards Spanish society.